When Windows XP emerged into the scene of Computing, it was presumed that Windows XP was going to be the answer to all the issues that general users had with computers. Speaking of other operating systems, they were not even close to the kind of ease that Windows operating systems provided. Pitted in such a position, it was probably the determination to develop and grow that led to the development of Windows 7. And now here we are sitting in front of our PC’s and working our way through Windows 8. The range of possibilities that Windows 8 provides was way beyond the imagination of mankind when Windows XP burst into the scene. The whole lot of user defined features, the applications for the users might have made Windows 8 a bit clumsy for people initially but with the use and the knowledge, I came to know that Windows 8 is better in many ways. Speaking of the application that you have in abundance in your Windows 8 store simply shows the fact that Microsoft is trying to make everything as easy as it gets for you. Thus, you start using the application and are astonished at their efficiency. But you will surely not like working around with an outdated application. Just like the fact that Windows needs to updates itself for better performance at regular intervals, so do your applications. Here are the simple steps that you will be needed to follow in order to update our applications. 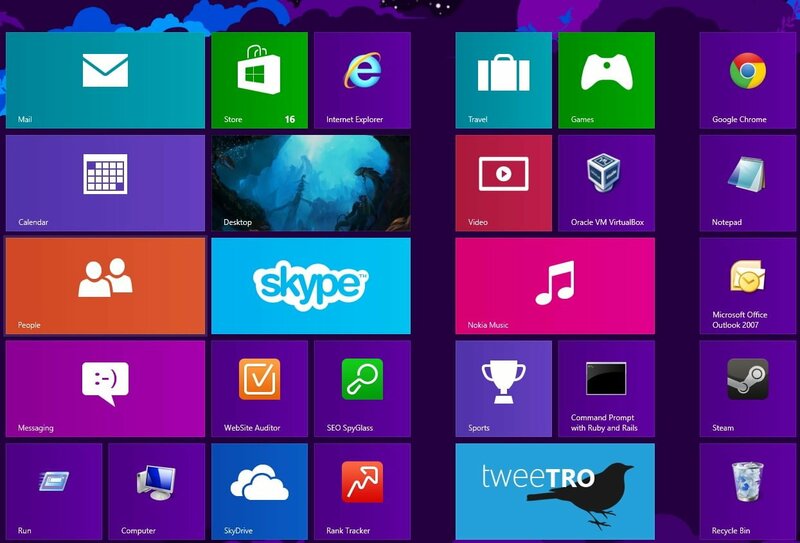 Step 1: The best thing about Windows 8 applications is that all about the apps can be found in Windows 8 Store. Thus the first step will be to click on ‘Store’. Step 2: The unique property by which Windows 8 allows you to change the setting when you swipe the mouse pointer on the right side is quite unique. So now placed in the Windows 8 Store, swipe to the right side and there you will find settings icon; Click on it. Step 3: Under Settings you will find App updates. Click on it and turn automatic Application updates on. The steps that I have mentioned above will allow Windows 8 to look for updates for all the applications that you have installed on your PC. In case you need only specific applications to be updateed, then you will have to click on the application itself. Then move on to settings of the application and there you will find ‘Check for Updates’. Click on it and your search will begin. In case there is an updated version, the application will be updated.